The annual bible for lovers of Australian wine, detailing the best wineries and vintages of the key regions. 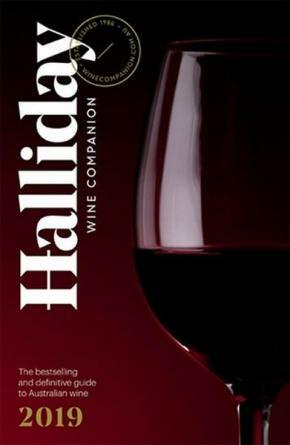 Halliday Wine Companion is recognized as the industry benchmark for Australian wine. The 2019 edition has been completely revised to bring you up-to-the-minute information. In his inimitable style, James Halliday shares his extensive knowledge of wine through detailed tasting notes with points, price, value symbol, and advice on best-by drinking, as well as each wine’s closure and alcohol content. He provides information about wineries and winemakers, including vineyard sizes, opening times, and contact details. • This is the bible for lovers of Australian wine—it is highly anticipated by wine connoisseurs each year. • Includes a comprehensive list of the best wines and wineries that Australia has to offer. • Includes reviews, styles, prices and the history of wineries reviewed by James Halliday. • Listed alphabetically either by region or winery. • Includes James Halliday’s famous 5-star rating system -- wineries use his reviews in marketing for their wines.